• A scam is a fraudulent or dishonest attempt to trap investors into delivery their monies for an illegitimate purpose. The typical scam will entice individual investors by making false proclamations of incredible returns; a scam will deliver inaccurate and spurious information to the consumer base in hopes of obtaining their money. • Scams or fraudulent business activities are not a new phenomenon and with the ever-growing availability of communication methods, scams now have the potential to target more and more consumers. As a result of computer advancement, the majority of scams are advertised on the Internet. The basic scam will entice individuals with bold or bright lettering claiming that if the individual invests money into the ‘opportunity’ they will reap enormous profits in the future. A scam can incorporate an assortment of products or services; however, every scam will entice individuals based on a promise of substantial returns. 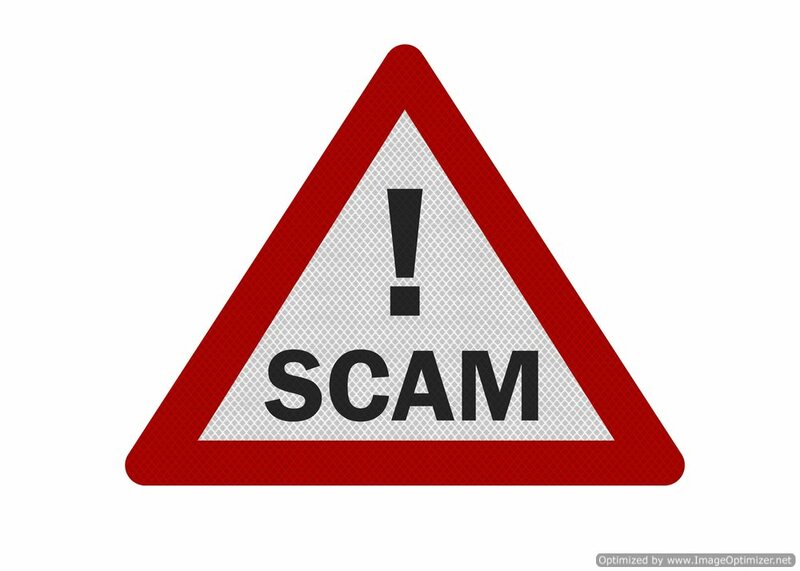 • A scam can cover a vast range of business transactions, including any pyramid or Ponzi scheme, any selling or multi-level marketing scam or any offers that offer an individual prizes or miracle cures. A scam can also be established as a bogus charity or illegitimate business; again, whatever the form of scam, all of these illegal and fraudulent models will incorporate something that appears legitimate, but in reality is not. • Although the actual message, meaning the promise or product attached to the scam, may differentiate, the intention or end result always remains the same—scams attempt to obtain money from the investor or consumer either by swindling them, selling them useless goods or offering services that are not in alignment with the price charged. • The term ‘scam’ is somewhat broad; however, it must be noted that all scams attempt to defraud investors through the portrayal of a good, service or business that is defunct or simply not realistic. Other common forms of scams include credit repair scams, payday loan scams and internet offers that ask for credit card information. • A scam can reach its target audience in an assortment of ways; ranging from a one-person door to door marketing operation to highly-complex telemarketing procedures, a scam can reach potential investors through a variety of mediums. Advertising, direct mail, phone calls, text messaging and emails are all widely used to attract investors to a scam. • Regardless of the forum or the underlying promise offered, be sure to investigate all opportunities that appear sketchy or fraudulent. There are a number of online sites that document scams and how to avoid them. Additionally, if you are a victim of a scam you should immediately report them to the United States credit bureau, the Department of Justice or the Better Business Bureau. All scams and attempts to defraud customers or investors are illegal in the United States; that being said, incorporating a legal professional into your particular case will streamline and facilitate your case in regards to recoupment.